There are plenty of homes capable of receiving addressable ads. So, why can’t broadcasters such as Turner reach them? Fragmentation is the problem and Cadent has a new solution. Paul Alfieri, Chief Marketing Officer at Cadent, says that most households in the US can receive addressable ads. The problem, he says, is that each pay TV operator has its system for taking, managing, and reporting ads. TV providers like Turner had to integrate with each one separately and maintain separate ad workflows to support them. Such an untenable situation condemned companies like Turner to reach only a fraction of their audience with targeted ads. Today, however, Turner has a new option. Cadent’s Advanced TV Platform allows advertisers to plan and implement a campaign based on their specific marketing goals. 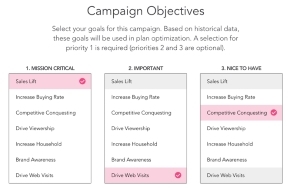 For example, campaign managers can select from several objectives, including sales lift, competitive conquest, and brand awareness. Campaign managers can select their targeting criteria based on first-, second-, and third-party data anonymously matched to US addressable homes. Advertising managers can track the performance of the campaign in a unified dashboard through the Advanced TV Platform. For example, they can see the total household reach, the number of impressions, and the number of ads delivered by TV network across pay TV and OTT delivery networks. Cadent has already delivered over 3,000 addressable TV ad campaigns. The experience affords Mr. Alfieri a clear view of the benefits of delivering the right ad to a targeted audience. He says Cadent helped one auto manufacturer increase the number of cars sold by 4,100 in one recent addressable campaign. He also says addressable ad CPMs are selling for between three and four times the untargeted rate. These examples demonstrate how everyone benefits from being able to deliver addressable ads at scale. 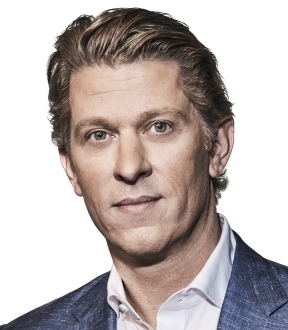 Higher CPMs mean broadcasters like Turner can lower ad loads without losing ad revenue. Lower ad loads improve the competitiveness of the linear experience versus SVOD services. Advertisers enjoy improved ad performance. Also, they more may not have to pay more for a campaign since they don’t have to pay for ad views by disinterested viewers. [i] Speaking at CES 2018 during the Reimagining Television panel discussion with Randy Freer, CEO of Hulu.